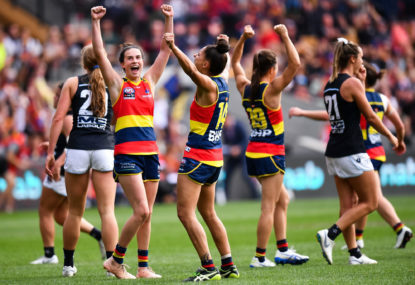 Round 1 of the 2019 AFL Women’s season is in the books, and if that was anything to go by, then Round 2 promises to be just as exciting. Of the five matches played last weekend, four of them went down to the wire, being decided by four points or less, while in the other, North Melbourne made the biggest statement, marking its AFLW debut with a six-goal thumping of Carlton. The Roos should, however, face a far more serious test of its credentials when they face the GWS Giants in Sydney to kick off the round, the Giants having held their own in a narrow two-point loss to the Lions in Brisbane. Other matches will see the first professional Australian rules match to be played at Victoria Park since 1999, while the Geelong Cats can expect to get their work cut out when they face reigning premiers the Western Bulldogs at the Whitten Oval. Here is your guide to Round 2. While they may only be in their third season, the time for honourable losses may well and truly be over for the GWS Giants. In the battle of one of the most exciting rosters in the competition up against one of the experienced, the Giants dominated the majority of their clash against the Brisbane Lions, leading by seven points at half-time only to fall short by two points when the final siren went. Nonetheless, fans should be encouraged by what they saw from the side, with debutant Alyce Parker receiving a Rising Star nomination for her strong performance against the Lions midfield and key recruit Christina Bernardi kicking an impressive goal in her first match for the club. On Friday night they will face a North Melbourne side which after just one match have made an impression on the competition. After a tight first quarter, the Roos broke the shackles to defeat Carlton by 36 points with captain Emma Kearney and Moana Hope, who both arrived at the club from the Western Bulldogs and Collingwood respectively, among the standouts. It was the first of two matches they will play in Tasmania as they look to maintain a strong presence in the state; the other match they will play in the Apple Isle will be against the Western Bulldogs in Hawks territory (Launceston) next Friday night. 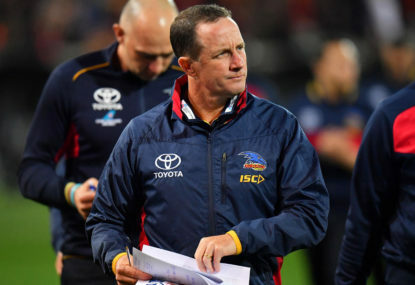 While they will be brimming with confidence, they should face a far more serious workout against the Giants, who have been touted by many as title contenders in 2019, in Sydney on Friday night. 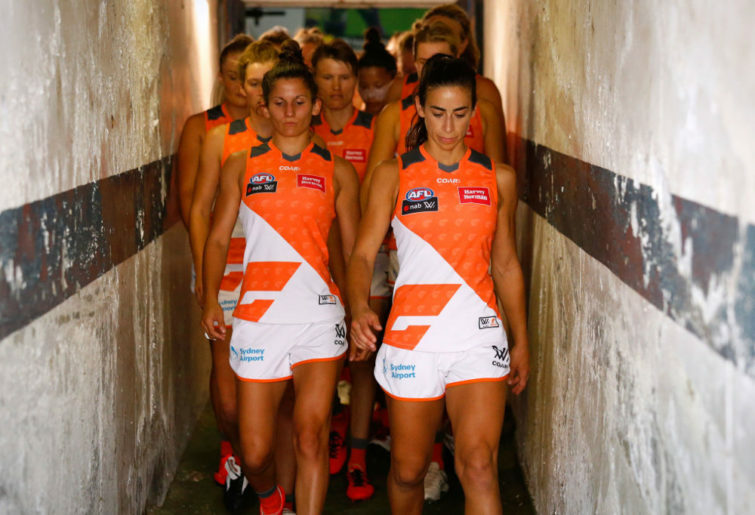 Amanda Farrugia of the Giants leads the team out of the tunnel. Two first-up losers from round one will be desperate to get on the board when Collingwood and Melbourne face off in what will be the first professional Australian rules football match to be played at Victoria Park for two decades. The last such match played at the venue saw the Collingwood men’s team lose to the Brisbane Lions by 42 points, a result which saw them finish on the bottom of the ladder for just the second time in their history. This Saturday night, their women’s team will be out to avoid the same fate when they face a Melbourne side which wasted a 14-point three-quarter-time lead to lose by four points. The Dees had kicked five goals in a row in the third quarter with the aid of a strong breeze, but, even at this early point in the season, suffered yet another narrow loss which could cruel their chances of reaching the finals, which has been revamped to include preliminary finals for the first time. 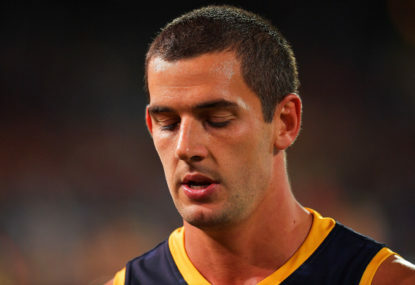 Further souring their defeat was the knee injury suffered by debutant Shae Sloane (sister of Adelaide Crows co-captain Rory Sloane), which has ruled her out for the season. 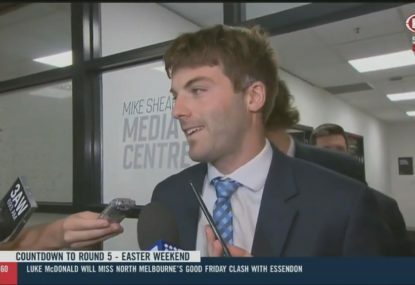 Meantime, the Pies are coming off a rather frustrating one-point loss to the Geelong Cats, which means they have never won a round one clash since the inaugural season. Things had started brightly for Wayne Siekman’s side, with Sophie Alexander kicking the first goal of the match only to see her day ended when she copped a stray forearm from teammate (and former netballer Sharni Layton) later on. Despite their best efforts, the Pies were then left to rue a scoreless final term, which has already put their season on the back foot. In the end, this contest will come down to whichever side is the more desperate and more willing. Prediction: Collingwood by six points. The second match on Saturday night sees two one-point winners from round one, the Western Bulldogs and Geelong Cats, go head to head at the Whitten Oval. 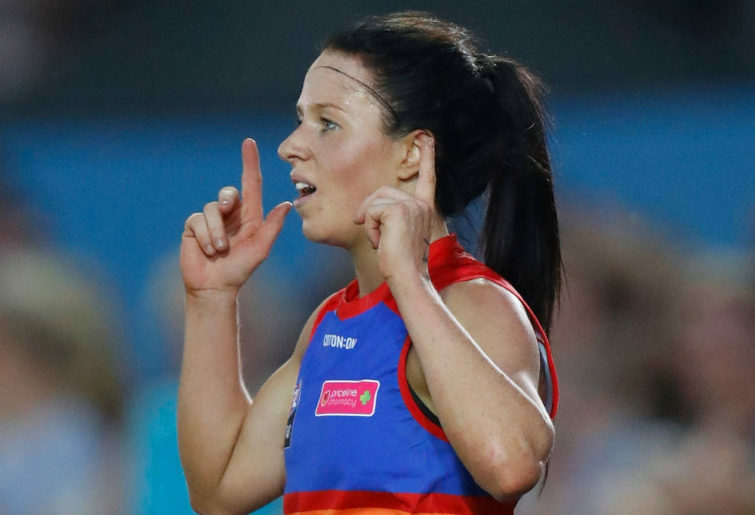 In a low-scoring struggle, the Dogs did enough to overcome the Adelaide Crows, with Katie Brennan kicking her side’s two goals in her first match back from a suspension which ruled her out of last year’s Grand Final. Midfielder Ellie Blackburn, who is the favourite to take out the AFLW’s best and fairest award, also impressed with 18 touches. On the other hand, the Cats marked their AFLW debut with an equally narrow win over Collingwood, with number one draft pick Nina Morrison impressing on her debut with a team-high 22 possessions and receiving a Rising Star nomination in the process. She also kicked the point which proved crucial to the Cats’ victory, hopefully one of many for the women from Kardinia Park this season. Madeleine Boyd, who previously played for Melbourne and GWS, also went into the history books as being the first player to kick a goal for the Cats. It will now remain to be seen whether the Cats can carry the momentum going forward, especially against the reigning premiers who will unfurl their 2018 premiership flag prior to the first bounce. Prediction: Western Bulldogs by eight points. By the time Carlton takes to Ikon Park for its round two clash against the Adelaide Crows, over twelve months will have passed since their last win. After winning their first two matches last season, a serious knee injury suffered by captain Brianna Davey conspired against them as they eventually crashed to the foot of the ladder by the end of round seven. And if last week’s loss to North Melbourne is anything to go by, then it could be another long season for the girls in the Navy Blue. The 36-point defeat leaves them on the bottom of Conference B and already facing an uphill battle to remain in finals contention. 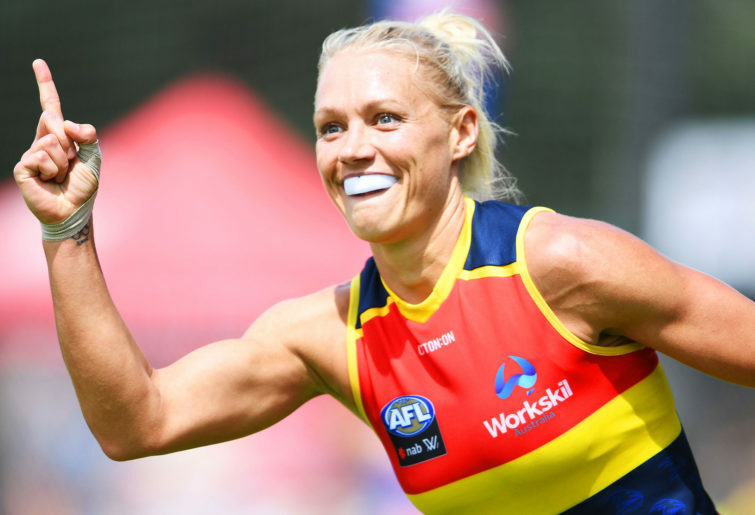 This Sunday they will come up against an Adelaide Crows side also reeling from defeat, though only going down by one point to the Western Bulldogs despite the best efforts of tackling machine Ebony Marinoff and 2017 best-and-fairest, Erin Phillips. From twelve scoring shots, which was four more than what their opponents had, they could only muster one goal and eleven behinds for a team total of 17 points, kicking ten straight points after quarter-time. Inaccuracy is something coach Matthew Clarke would have addressed to his side as they look to register their first win of the new season. On the road, they should get the job done. 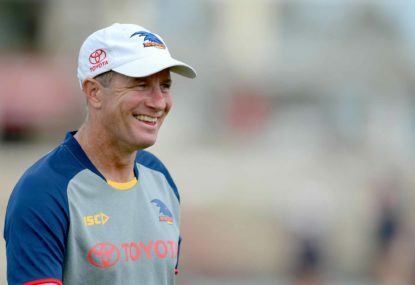 Prediction: Adelaide Crows by 12 points. The final match of Round 2 sees the Brisbane Lions make the longest road trip in the AFLW when they fly west to face Fremantle at Fremantle Oval. At home last week, the Lions were given a serious work-out by the GWS Giants, but after trailing by seven points at half-time their experience proved to be the difference in the second half as they overhauled their opponents to win by just two points. Instrumental to the win were strong performances by Jess Wuetschner, who kicked three goals, as well as Shannon Campbell who held up the defence brilliantly when the Giants were attacking relentlessly during the frantic final term. On Sunday they’ll face a rejuvenated Fremantle side which is coming off an impressive four-point win over Melbourne, which marked their first win outside of Western Australia. They had trailed by 14 points at three-quarter-time, but a rev-up from new coach Trent Cooper in the sheds and the presence of Kiara Bowers sparked their final quarter comeback in which they kicked three goals, including one each from Bowers and Gemma Houghton, to register their historic victory. One of the Dockers’ original signings, Bowers missed the first two seasons as she recovered from a third knee reconstruction. But her presence could be what provides the Dockers the spark to succeed in 2019, the club having finished seventh in their first two seasons. Despite the home ground advantage, I still think the Lions will be too strong here as they look to go one better in 2019 and win their first flag.